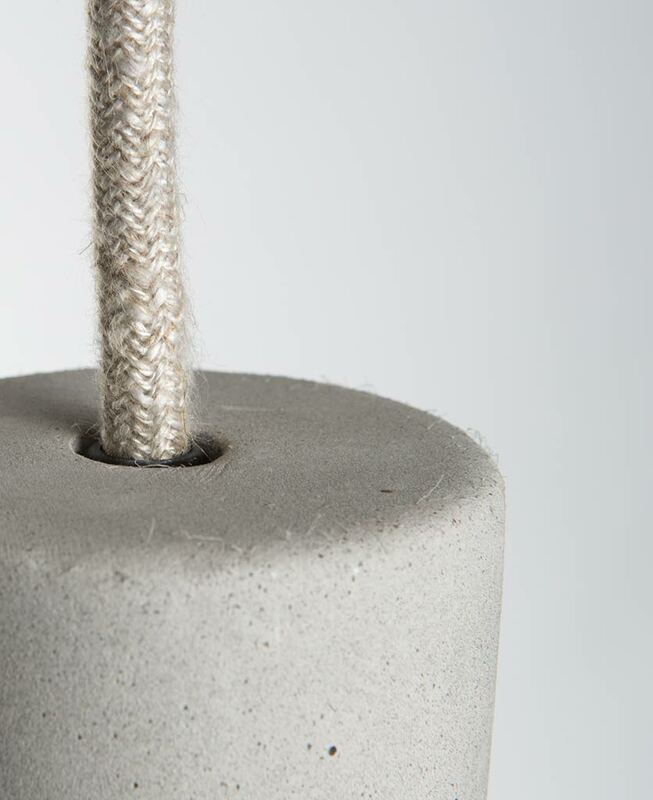 Our beautiful small concrete pendant light is the perfect mix of textures; smooth, pale grey concrete paired with contrasting linen fabric cable. It comes ready to fix to your ceiling complete with bulb holder, fabric cable, ceiling rose and gorgeous frosted LED bulb. Our small concrete pendant lights are the ideal accompaniment for an industrially styled interior. 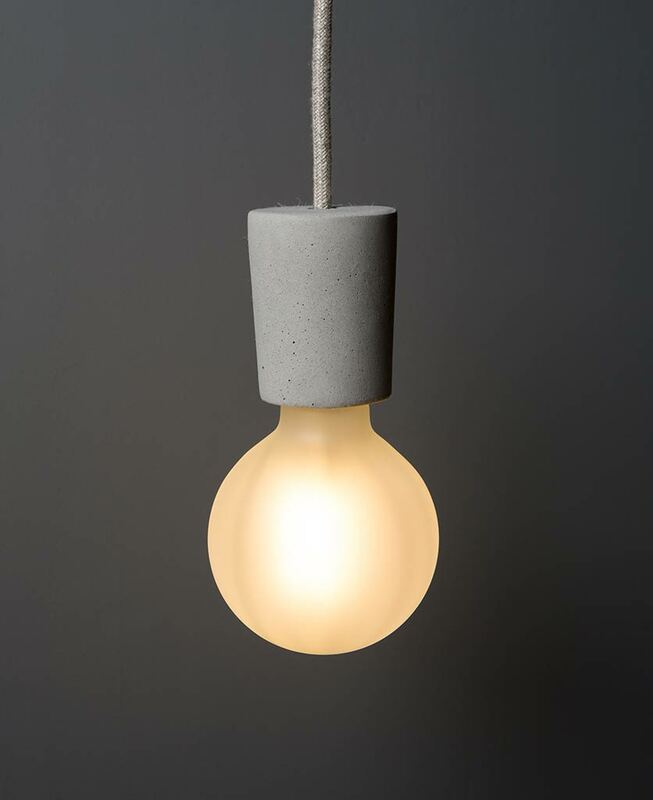 Exclusively designed by us, this sleek concrete light pendant is perfect for housing our beautiful filament light bulbs. 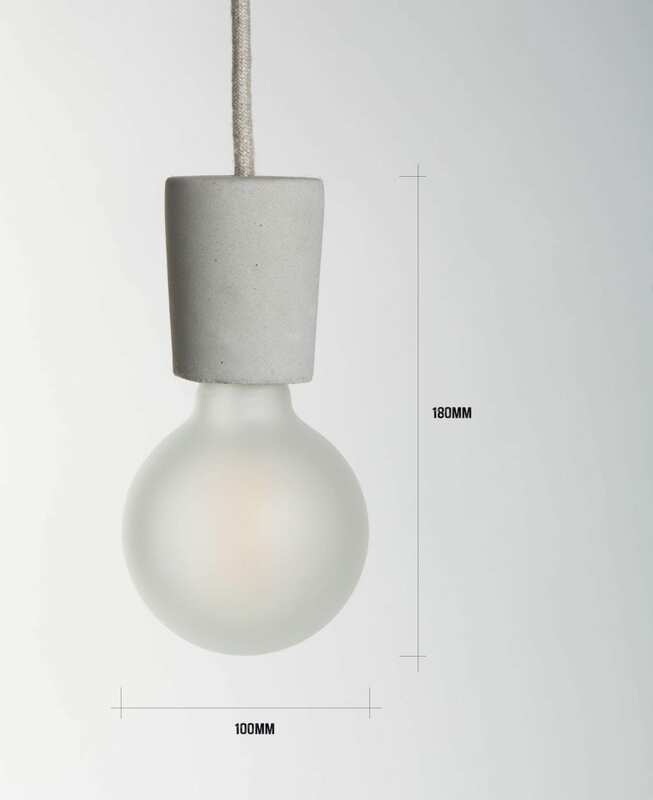 The concrete features tiny air bubbles of imperfection and a rugged finish which contrasts the soft curves of the light bulb beautifully. 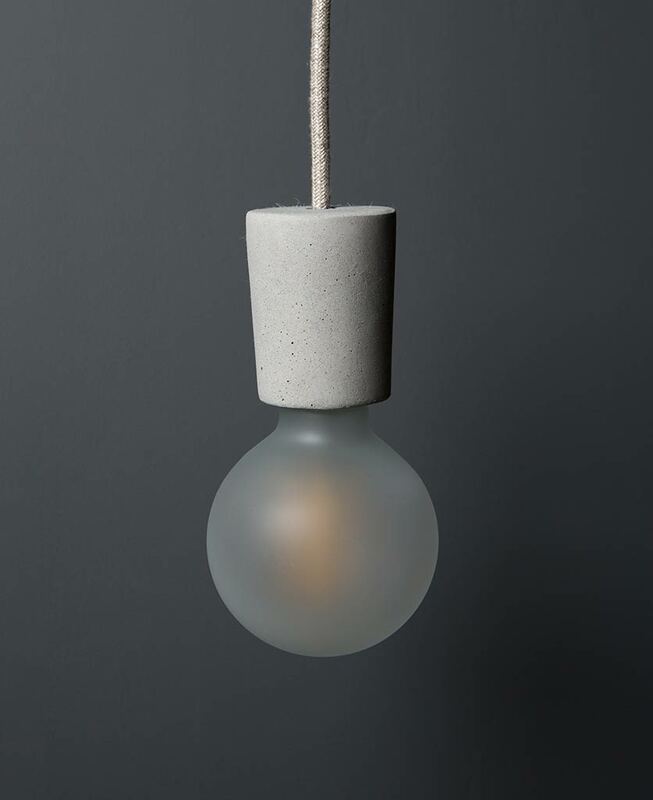 These understated concrete lights are undeniably industrial. 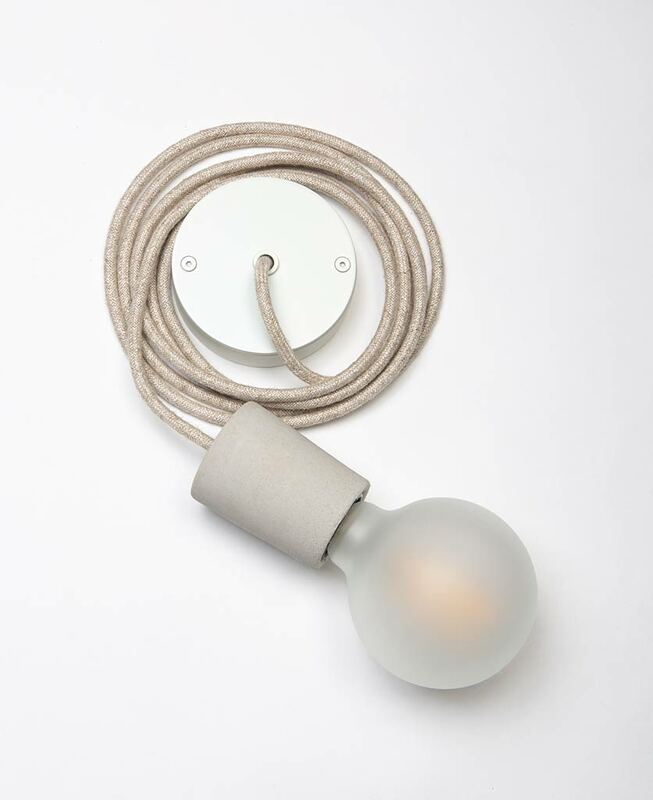 We fit each of our concrete pendant lights with a white ceiling rose and a length of tactile linen fabric lighting cable making them perfect for a range of interior styles. We love how the course linen complements the rugged concrete, it’s just so tactile. 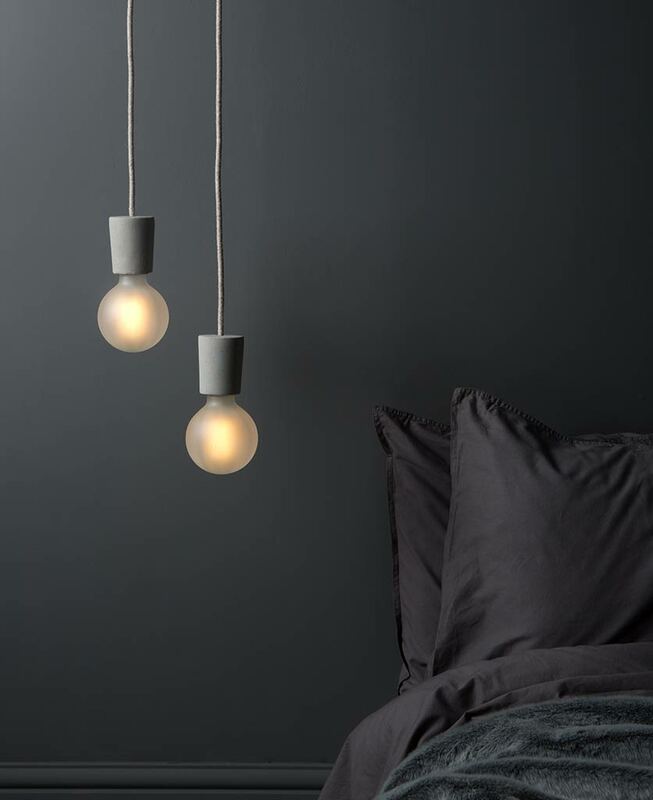 Create a simple yet gorgeous lighting feature by displaying our concrete pendant lights in a minimalist interior. Think reclaimed wooden floors and exposed brick walls. For ultimate impact, suspend our concrete lights in a series above a glossy white dining table. Finish off the look with grey accents to soften the look and create an ambient vibe. frosted globe squirrel cage filament LED bulb included.